A really useful guide to all things cryptographic. Slightly more detailed than Newton’s encyclopaedia. 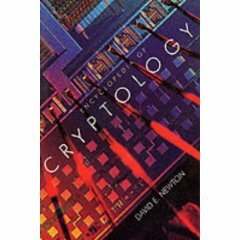 A hefty book that will answer lots of your crypto queries. A superb book, notable because it was largely this book that brought Turing’s story to the public, and which then inspired a series of other books, plays and TV documentaries. A tiny book about Turing and the development of the computer. Another tiny book about Turing and the development of the computer. 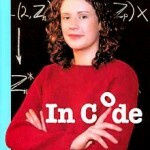 This was published after I had written The Code Book, so I must admit that I have not read it. New interests mean that I have had to focus my reading elsewhere. But, by all accounts, this is an excellent book. An accessible account of the Bletchley Park story, which accompanied the Channel 4 TV series of the same name. 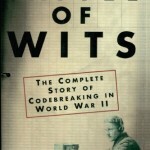 A collection of essays by those who worked at Bletchley Park during World War II. One of the earliest accounts of Bletchley and the Enigma, written by one of the most important codebreakers. This is THE BOOK to read if you are interested in the Enigma cipher and its cracking at Bletchley Park. At last, here is an authoritative, definitive and complete book. The story of the Navajo contribution to cryptography in the Pacific. Written in 1973. Probably based on McLain’s earlier book, which is the version that I have seen. This book was brought out to coincide with the release of the Hollywood movie Windtalkers. 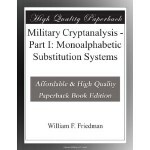 750 pages of pure authority, written by a world expert on modern cryptography. 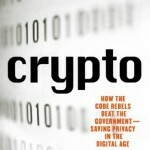 Schneier’s first book was about the technical and mathematical side of cryptography. This book is about the equally important human side of information security. A very short introduction indeed. An excellent primer by one of the world’s brightest cryptographers and best communicators of the subject. 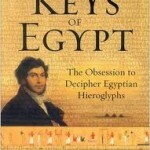 “The best single book on cryptology today,” according to David Kahn. I have only dipped into this book and it seems excellent. Not about cryptography, but about steganography, the science of hiding messages rather than scrambling messages. 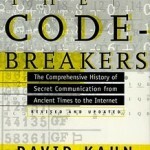 This was one of the first books that I read about codes and codebreaking. 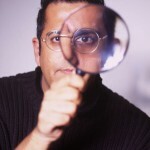 A good introduction to some of the technical aspects of cryptography. An excellent account of the development of Pretty Good Prviacy (PGP), the encryption software that shook the world. More technical than Garfinkel’s book, written by the pioneer programmer of Pretty Good Privacy..
An exploration of the issues facing society in the Information Age. A refreshing read that complements most books on cryptography that concentrate on mathematics or technology. I met Peter when I was researching the Beale story. His book explores the history of the Beale treasure and suggests some theories to explain the mystery. eavesdropping and code breaking organization. Puzzle Palace was first published 20 years ago, whereas Body of Secrets is a much more recent update of Bamford’s research into the NSA. I have only dipped into these books, but they are generally agreed to be the best books available about the NSA. 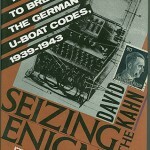 I doubt that we will ever know the whole story behind the Zimmermann Telegram and its decipherment, but historian Barbara Tuchman writes a brilliant account of this pivotal episode from World War I.
Cryptonomicon is a massive novel (918 pages) that stretches from the story of World War II codebreakers to today’s data havens. Aegean publishes a series of quite specialist books on cryptography. Here are some of their more accessible titles. Chadwick recalls the historic achievements of his colleague Michael Ventris in deciphering the ancient Minoan-Myceanean Linear B script. The tale of the Mayan glyphs, their partial decipherment over the past 20 years and the personalities involved are outlined in this well illustrated book. A step-by-step guide to reading Egyptian hieroglyphs by Egyptology lecturers Collier and Manley. This book has a clear, easy to read layout and is an ideal beginners text. Richard Parkinson wrote this book to accompany the British Museum’s Rosetta Stone exhibition. It’s 200 illustrations bring to life the story of J.F. Champollion and Thomas Young’s extraordinary achievements in deciphering the ancient text. Literary editor of the Times Higher Education Supplement, Robinson uncovers the history and evolution of languages and scripts, from Persian cuneiform and Egyptian hieroglyphs to the computer languages of today. A well illustrated and easy to read book.